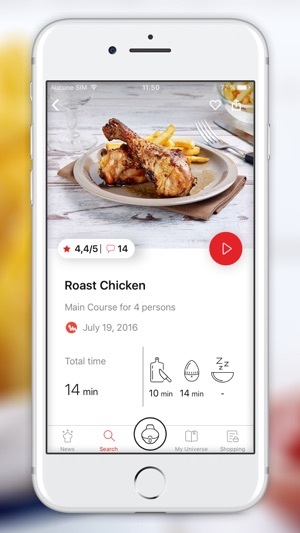 My ActiFry by Tefal application, your personal assistant to easily make hundreds of delicious recipes with your Tefal ActiFry. 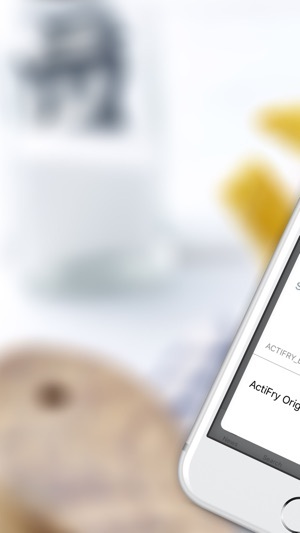 ActiFry, one spoon to reinvent your cooking! Application available in English, French, German, Dutch, Spanish, Turkish and Arabic. More than 700 000 downloads in 12 countries ! • Be guided from the recipe idea to a tasty meal : filters to help you find the proper recipe, step by step recipes and videos showing culinary techniques for achieving sucessful meals. • Follow a nutrition coaching to enjoy daily healthy meals and improve your eating habits thanks to nutritionists' tips. 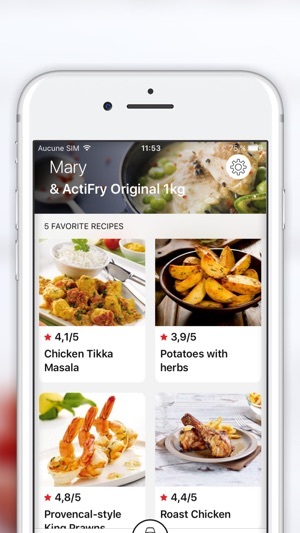 • Add recipes to your shopping list in 1 click ! ActiFry wishes you a Happy New Year 2019 which will bring you endless surprises! Please continue to write us and give us your feedback about the app and your needs! 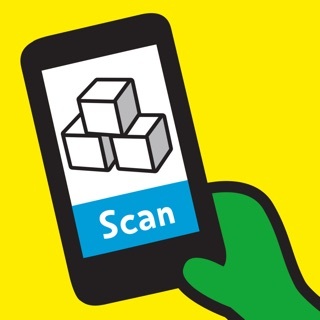 In the meantime, we optimised the app and fixed lots of minor bug to guarantee an optimised mobile app user experience. I cant register my 2 in 1 actifry to it and it wont let you as it keeps saying my email has been register already or it will say server is not available (which in a way it hasnt as its my very first actifry appliance) when i put my email in to find my account it comes up FAILED!! You need to sort your apps out before you do more damage to your credibility. 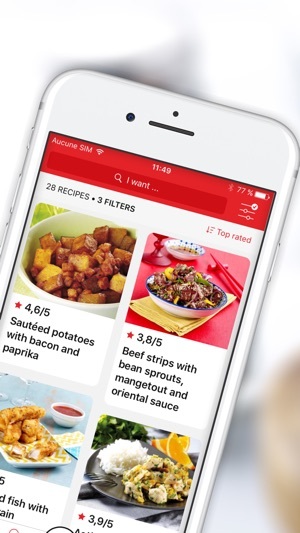 I love the recipes that I have tried but based on the app description I was under the impression there would be more recipes, will there be more added with future app updates? It said there were hundreds of recipes but I definitely don't have hundreds. Are there certain recipes for the different versions of the actifry machine? And some of videos attached to some of the recipes don't work. 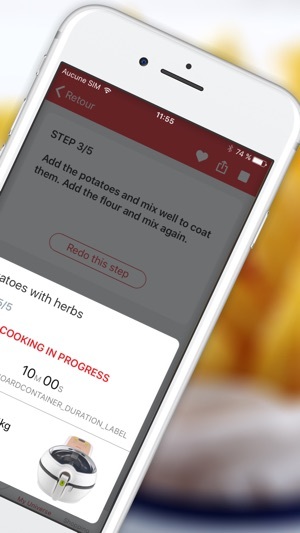 some of the recipes when looking at the cooking process in detail the (minutes) for each thing needed cooked says it takes (0 minutes) for everything in the recipes, so I don't know how long I need to cook per step of the recipes. I love the recipes, but wish there were more and hope that the problems above can be fixed so I can try cooking recipes I haven't tried yet. Recipes very tasty, easy to follow and very quick. However some crucial information missing; wether to leave paddle in or out and some ingredients missing from recipes. Something else which missing and for a ‘health fryer’ is extremely important is nutritional information (i.e. calories and fat) on the recipes. Fix these issues and you get 5 stars!